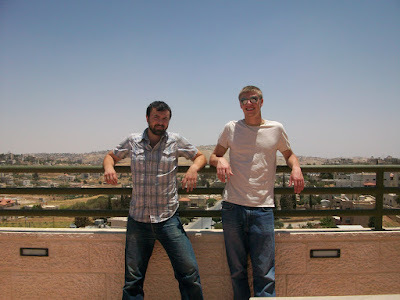 Me and Trey in Beit Sehoor (House of Waking) just south of Bethlehem where we're staying. We're on top of one of the more significant buildings in the area, because it's owned by a related member of our household (as is just about everyone on the block! Things are like that around here...huge families that cluster together. 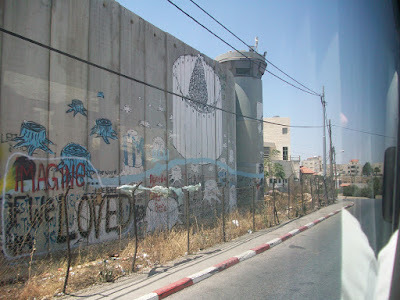 The "Peace Wall." 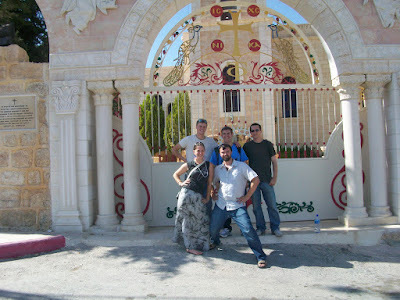 An ever-present reminder of the crazy prejudice going on here... from inside looking toward Israel, you'll see all the graffiti. Some it it is pretty powerful stuff...more to come. Not to sound like the political agenda is sinking in, it's just that the local politics are ever present and the grim reality of the situation inescapable.